Between Good Friday and tomorrow Easter Monday – that is four days – we the great British public (and some very nice Expats) will have consumed rather a lot of Easter Eggs. Do you know how many? If you put them in one big pile, how much would it weigh? Is it 260 tons of chocolate, 2,600 tons, or is it 26,000 tons. Yes its 26,000 tons. That is a lot of chocolate to eat in four days. and it got really confusing when Mr Cadbury in the 1870s realised there was more money to be made in selling hand-painted chocolate Easter eggs than real ones. Everything else is, as they say, history. The encouraging fact, however, is that in a recent national survey, one in three people in Britain indicated that they believed in the historical and physical resurrection of Jesus. Whether they understand the purpose is another matter. This morning I’d like us to think about how the resurrection of Jesus is three dimensional. The resurrection of Jesus was an historical event indelibly recorded in the memories of all who saw him and wrote down what happened. We have their eye witness testimony in the Bible. The places associated with the death and resurrection of Jesus are also recorded, in stone. They became places of worship. The Romans tried to destroy the churches by building pagan temples over the top of them. In 325 the Emperor Constantine became a Christian. His mother Helena visited Palestine to find where Jesus had died and rose again. The Christians who survived pointed her to the pagan shrines. Instead of destroying them, they had preserved them! Here are four. All beginning with G: Gethsemane: Galicantu: Golgotha: Garden Tomb. The resurrection of Jesus was historical. That’s the first dimension to Easter – Easter Past. Secondly there is an Easter future! One of the greatest promises Jesus ever made is found in John 11. Because Jesus rose from the dead, we can have hope that we who believe and trust in Him, too will live forever with him. We can look forward to living forever with God. We can look forward to getting new bodies that will never wear out. What will our bodies look like? Superman? Batman? Spiderman? Better. The Bible says that our new bodies will be like Jesus. After his resurrection, Jesus was able to appear and disappear. He was able to walk through walls and even fly – remember he ascended to heaven. Death is not the end of life, merely a new beginning. 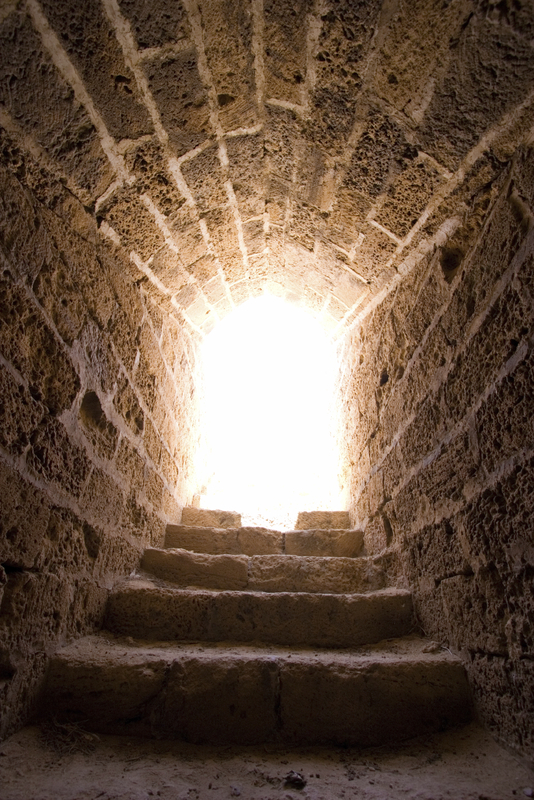 The resurrection is not simply a past event and a future prospect but a present experience. We can enjoy 3 things beginning with the letter P.
Jesus first words to the gathered disciples after his resurrection were “Peace be with you.” (Luke 24:36). We are not alone any more. “I will be with you always” (Matthew 28:20). 1. You were planned for God’s pleasure: Worship. 3. You were created to be like Christ: Discipleship. 4. You were shaped for serving God: Ministry. 5. You were made for a mission: Evangelism. Christians say they are. Jesus promised “I have come that they may have life and have it to the full.” (John 10:10). That is certainly true. The resurrection of Jesus is a three dimensional. Past – Jesus resurrection really happened. Future – one day we will be raised with him. Present – peace, purpose and pleasure. How can you have assurance of eternal life? This entry was posted in Bible, children, Sermons on April 8, 2019 by Stephen Sizer.